Claire McCole (Donegal) - A.D.C.R.G. 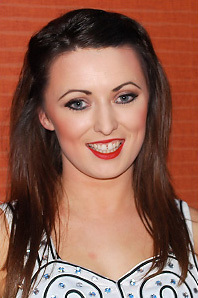 Claire began dancing at the age of four, and competed at Ulster, All Ireland and World Championship level for over 15 years, winning many awards with the Bonner-Cannon School of Dancing in Donegal. In 1998, Claire performed the lead role with her dancing school at the Irish, U.K., and American premiere's of the film "Dancing at Lughnasa". The following year, she went on to perform at the opening ceremony of the Ryder Cup in Boston in association with Bord Fáilte. Claire performed for three consecutive years with the O Shea Irish Dance Company, as a dancer in "Irish Thunder", in Busch Gardens, Virginia. Claire has been a member of Riverdance since the age of 18, performing initially with Riverdance-The Flying Squad at corporate events across the globe, while studying in St. Patrick's college in Dublin to become a primary school teacher. In 2005, Claire was delighted to take a place on a full time tour with Riverdance-The Show, and spent the years between 2005-2008 touring America, Canada, Mexico and Europe with the show. Mark McCole (Donegal) - T.C.R.G. Mark began dancing with the Bonner-Cannon School of Dancing from the age of 4. Mark has won many Ulster titles and has gained many All-Ireland, Great Britain and World Championship awards throughout his competitive career. His show career started in Irish Thunder – the show in 2005. Following that, he was asked to join Riverdance in late 2005. To date, Mark has performed in the U.S.A., China, Africa, Hong Kong, Indonesia, Dubai, Switzerland, Portugal, the U.K. and Ireland. In January 2007, Mark set up Mystic Force – the show. In August 2008, Mark was selected as one of 12 finalists in the Impact Media Elevate Awards 2008 for the business Mystic Force, and went on to finish in the top three. 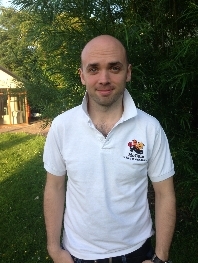 Since then Mark has successfully launched Fitness Fusion – Adult Irish Dance Class in Galway, Athlone and Castlebar. In 2009, Mark and his sister Claire launched the McCole School of Irish Dance in Galway city and county. The school has had considerable success in five short years including a Connacht Championship title, North American Championship title and multiple podium placements in the Irish National Championships. Rowena Booth (Athenry) - T.C.R.G. Rowena began her Irish Dancing career in Athenry at the young of 4 with the Maureen Cunniffe School of Irish Dance. Rowena successfully competed winning many awards until she was 20yrs old in the Connacht,All-Ireland and World Irish Dancing Championships. After finishing school and going on to qualify as a beauty therapist,Rowenas love and passion for Irish dancing held and in 2002 she joined Galways Irish Song Music and Dance show "Siamsa" where she danced as one of their principal dancers for 4 summer seasons. Rowena now dances with the very sucessful and sought after award winning dance show "Mystic Force" who preform all around the country at wedding and corporate events. She has gained vast experience through the years in teaching and choreographing dances which showcases her knowledge and creativity. As a recently qualified T.C.R.G. Rowena is delighted to teach her love of Irish Dance to both adults and children alike. 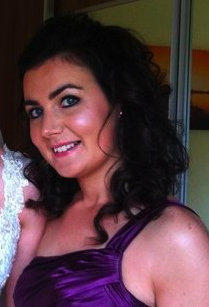 Aisling Hillick (Derry) - A.D.C.R.G.